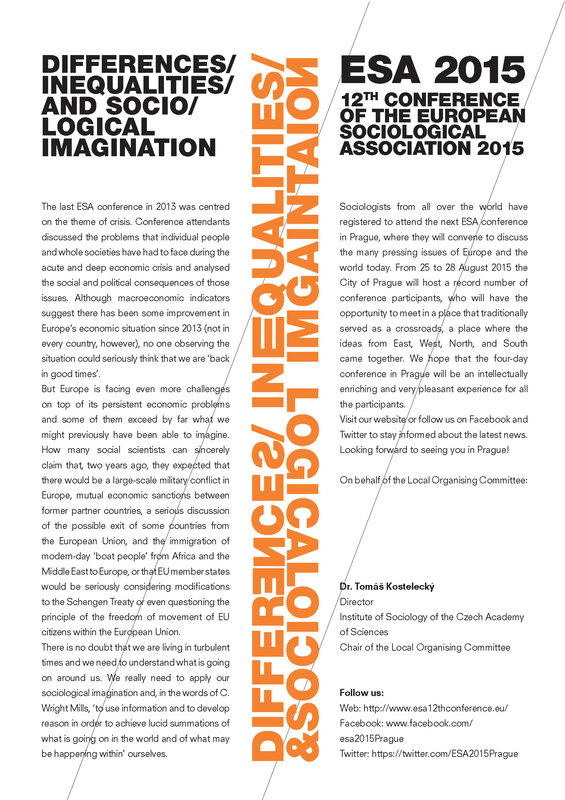 12th Conference of the European Sociological Association 2015, 25.-28.8. Thank you very much for making ESA 2015 such a wonderful conference! You can also watch opening and closing plenary videos. Programme Book and Book of Abstracts is available in the programme section. Take advantage of this opportunity and come visit the heart of Europe! The European Sociological Association (ESA) has chosen Prague as the next city to host the 12th ESA conference. The main theme this year is ‘Differences, Inequalities and Sociological Imagination’.